Hawaii Section leaders and leaders from the Porsche Club Hawaii Region visited the Aina Haina Elementary School on the fourth of March to present the Okakopa Hoolaulea 2014 Makana. Sixty six students of the fourth and fifth grade classes and staff assembled to meet our delegation. Teacher Cheryl Samuels and Assistant Principal Tony Gayer brought us up-to-date with the progress of their Rain Garden and Catchment System project. They reported that thanks in part to the Okakopafest donation the students, that morning, were able to visit a plant nursery to learn about the kinds of plants that would be used in the rain garden. We were invited to share information about our respective car clubs and our enthusiasm for automobiles. We shared with the students how our organizations ran projects, like Okakopafest, to benefit public schools and other community programs. 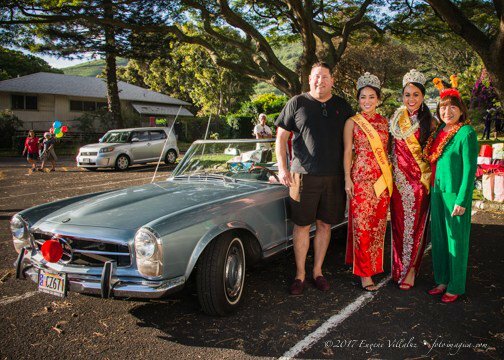 The Hawaii Section invited the Porsche Club to join us in the presentation because they were the 2014 recipient of the Makana Cup, which is the honor given to the car club that has provided the Okakopafest with the most support. Representing the Porsche Club were Mel Akiyama, Vice President and John Meyers, Dealership Liaison. Both gentlemen shared with the students how anyone could be a car enthusiast. When the time came for questions from the students to ask questions we were happily surprised at the kinds of thoughtful questions they posed. One of the questions asked: What was the oldest car at Okakopafest and how much horsepower did it have? Our treasurer, Gregory Gibbons, presented our makana to Principal Brendan Burns, a check in the amount of $1,600. Also at the assembly were JPO Advisor Jason Fong and teacher Mary Jo Fong. Our gift to Aina Haina Elementary School would be used for their project to create a rain garden and catchment system in an area of campus that was identified as a potential flood area. The project will have cultural and environmental relevance as it will act to limit the amount of debris and litter that goes into the Aina Haina storm drains. Assistant Principal Gayer invited us to return later this year to view the completed project. 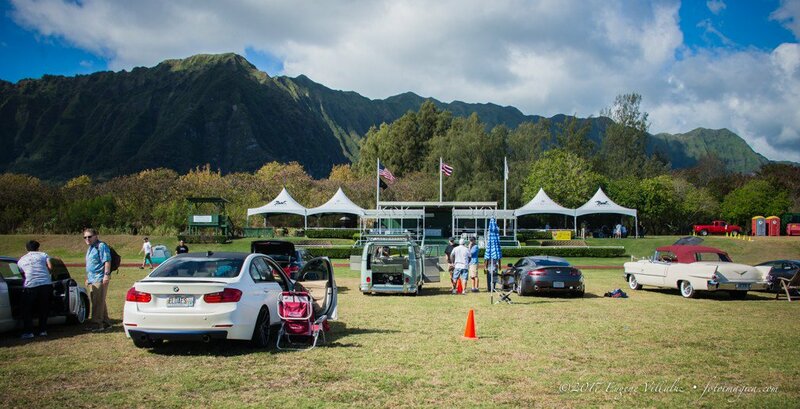 He also invited our clubs to stage car shows in their parking lot in the future. You can be sure we will take up on both invitations! 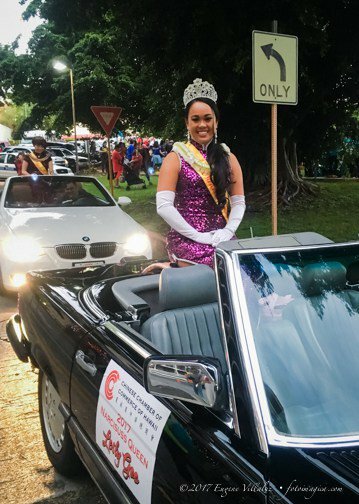 OkakopaFest 2014 generated $3,000 in funds for donations for Hawaii public school projects, about double the amount raised in 2013.